In an open-plan dream, the Buckhurst Ave House combines the kitchen, dining and lounge area to give a welcoming, expansive feel that’s perfect for the coastal Sydney lifestyle. A palette of blues, greys and classic white, together with rattan furniture and a light timber floor, provides an elegant yet relaxed Hamptons’ look which both accentuates and complements the coastal location of this home. 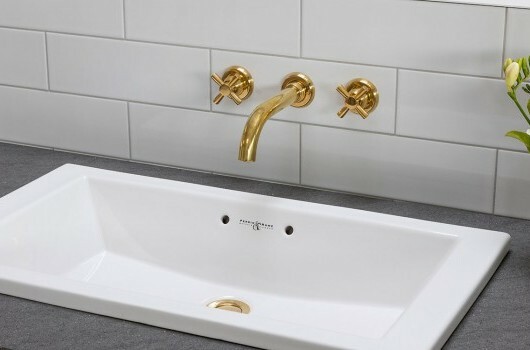 While also adding a warm, timeless quality, Perrin & Rowe brass tapware and Armac Martin handles offer unequalled functionality and durability, essential in a hardworking family kitchen. When detailing the door hardware, warm-toned nickel handles from Frank Allart were chosen for their classic elegance. 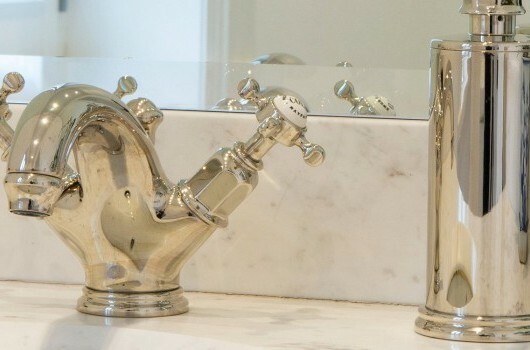 Capturing the inimitable Hamptons’ style, each bathroom features sophisticated Perrin & Rowe tapware in nickel, set against exquisite handmade subway tiles and marble. 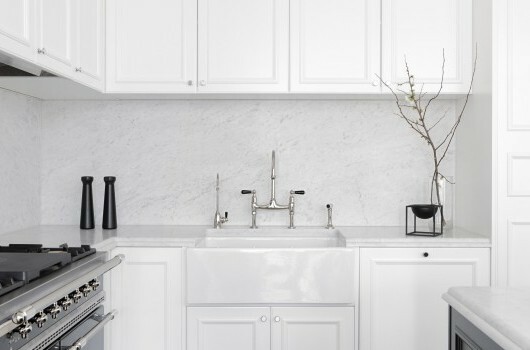 That the refined Armac Martin Queslett cabinet handles look as striking on the kitchen cabinetry as in the bedroom, shows the versatility of classical design pieces. Perrin & Rowe - Round top-mounted vanity basin without overflow 420mm dia. Perrin & Rowe - Round under-mounted vanity basin without overflow 360mm dia.